Windscribe VPN Review - Is this the service provider for you? 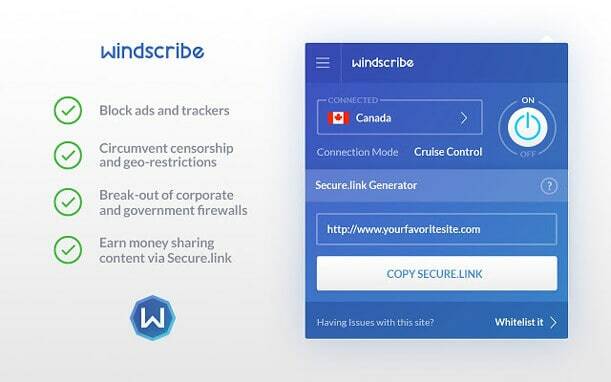 Windscribe is Canadian, so it is based inside one of the 5-eyes regions. They do have both options available, a free version and the premium version which is paid for. 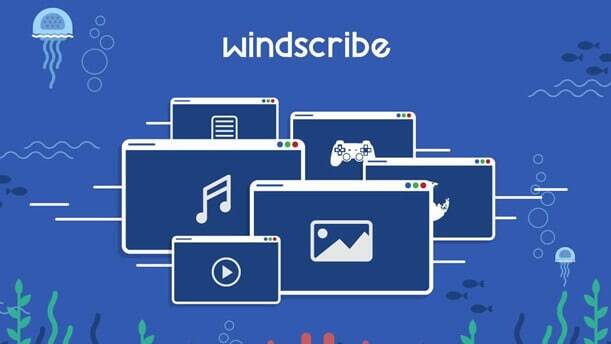 Windscribe reviews are scattered around the web as it has become quite popular over the past few months. The central question is with the premium version of Windscribe VPN, is it good enough to compete with the rest of the field? 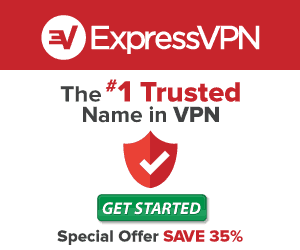 Compared to many providers, this VPN is quite new and was only established back in 2016. Thankfully their website has been updated so finding their feature list is now quite straightforward. They offer unlimited connections which are a blessing along with unlimited bandwidth. As Windscribe works with Netflix and allows torrent downloading this poses no limitations for users. A kill switch is also included so, should you lose your VPN connection all the sites or apps you were connected to will lose their connections automatically thus hiding your original IP address. It is also welcome to know that they retain no permanent logs, so, their log policy is quite high on their list though being based in Canada, and they might have a surprise request one day. Windscribe is also one VPN that you know right from the start it is highly secure as they use some of the most reliable encryption there is. They also offer a fantastic Windscribe browser extension which does a sterling job on mobile devices or if you find yourself away from your system and need something you know. Two other of the browser extensions features are “Split Personality” where your user-agent profile will be rotated and will avoid any tracking. As the service is new many people ask, is Windscribe safe? The answer is as you would hope, and is yes. Windscribe supports a host plethora of devices which covers more than some other VPN provider options which are on the market. They include Windows, Mac OS, iOS, Android as well as Linux and Amazon FireTV and Nvidia Shield as two of the not so conventional devices. For new the users. The Windscribe client comes with an auto start option this starts the services automatically when you turn on your machine boots up. Such is the fact that in testing both the desktop client and the browser extension DNS leaks were non-existent. If you connect using the Chrome browser extension, you are presented with the option to use the double-hopping feature. This will route your connection through two proxy servers rather than one. As good a function as it is in masking your location, it uses double the workload so connection speeds can tumble. Any user who has located away from the significant servers, this could cripple any connection that is made. It is an interesting feature although it is not likely everyone will need to use it. There is the free plan which is heavily advertised. Unfortunately, this is mainly a marketing strategy, and Windscribe offers this as a means to get people into purchasing the pro version. Compared to many free alternatives the Windscribe one is quite decent although a little restrictive with the monthly cap. On the plan side of things there is basically only one plan, however, the longer you sign up for, the cheaper an option it becomes. If you pay annually, the cost is slashed in half which makes it affordable although not the cheapest at $4.08 per month. If you opt for their premium offering, you will find they do have some of the best setup guides for all devices. Also when signing up, they ask if you wish to add an email address which is optional. Although you can gain more privacy, it might hinder or slow the response if you have problems. The company website is well laid out and now much easier to navigate. They also have a current blog which offers lots of up-to-date information on their service. Although it isn’t from users, you can see any changes they wish to make or have already implemented. Windscribe continues to offer a decent service. Even their free plan can be beneficial when you need to connect another device. VPN speeds varied quite considerably when speed testing although your location can have a significant bearing on this. Being in the southern hemisphere might limit performance especially when streaming or downloading. 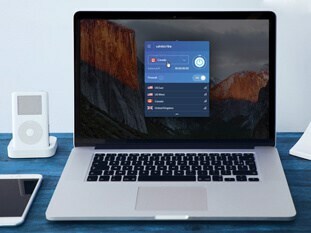 Before committing it is worth trying the free version and seeing which VPN server you can connect and if the speeds are sufficient. With only 11 locations supported by the free version, you will get a good idea of the standard of performance you will receive, as it can’t go much lower. The question is, how much higher it would go when you pay and have an increased number of Windscribe server with which to make your connection? Windscribe does so much that is right, although they are let down in specific areas. Maybe this is because they are new and they will improve over time. Security and privacy are top-notch, and although they are let down by a full range of support options which leaves them weak compared to some competition, they do respond quickly via email. Many of the weaker areas might change over time, and connection options and speeds being one are which does need to be addressed sooner rather than later.